The perfect place to watch the sun go down, One Tree Hill is Hamilton Islands renowned hilltop lookout. Offering a huge selection of tropical cocktails, fine wine, premium spirits and ice cold beers, One Tree Hill enjoys some of the best views in the Whitsundays. Enjoying a beautiful location right on the Marina, TAKO is one of Hamilton Island's most popular bars and restaurants. Guests will enjoy having their tastebuds tantalized with regional cuisines from Mexico and a wide range of meals that are fresh and delicious. The fun and colourful décor mixed with a delicious variety of margheritas makes for the perfect evening on Hamilton Island. 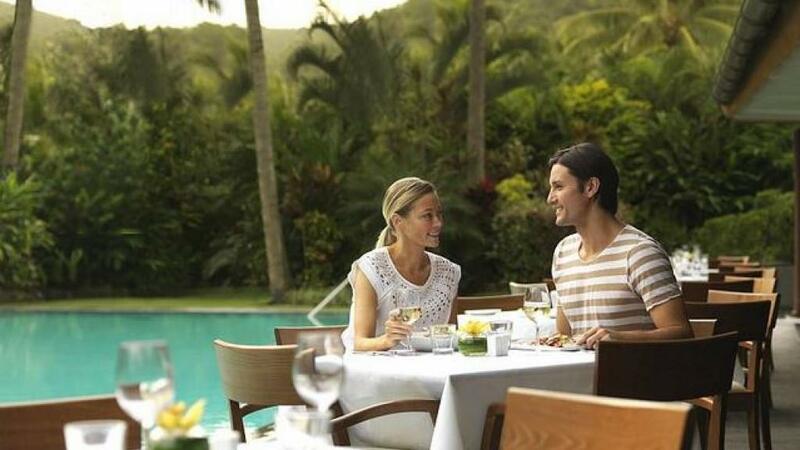 Forming part of the Hamilton Island Golf Club, Bommie Deck is the ultimate place for afternoon drinks. The elegant bar and restaurant serves up modern Australian cuisine with a focus on local produce and delicious ingredients. Set upon the waters edge, Bommie Deck is also a great spot to watch turtles swim by. Located at the Reef View Hotel, Reef Lounge is a laid back bar perfect for relaxing and catching some great live music. Visit the Reef Lounge for a delicious morning coffee, or pre-dinner drink before heading out to one of the amazing Hamilton Island Restaurants, then return for a night-cap beverage before heading home. Enjoying a central location, the Reef Lounge is accessible to all guests of Hamilton Island, not just those staying at the Reef View Hotel.